Controlling a seed is a fundamental step in achieving sustainable gains in ag. BioLumic is developing next-generation seed technologies which will unlock a crop’s potential before a seed is sown. Seeds possess their own photomorphogenic signalling and response mechanisms. Within the thousands of genes contained in seed subregions are genes that have a function within UV signal transduction and regulation of downstream physiological outcomes. Using targeted applications of BioLumic technology, beneficial crop traits can be induced in a seed prior to sowing, so that the benefits of BioLumic can be extended over a greater range of crops. Using cutting edge photobiological science, proprietary engineering, and molecular biology, we test hundreds of combinations of UV recipes for seed applications. Plant phenotypes are screened after sowing, and scientific field trials determine our winning combinations. Closing yield gaps for the world’s most important crops is one of our goals for the development of seed applications. Working first in corn, BioLumic applied prototype treatments to corn seed, and planted treated seed into a field-farm site in New Zealand. At harvest, corn grown from treated seed yielded 10% higher than conventional seed. 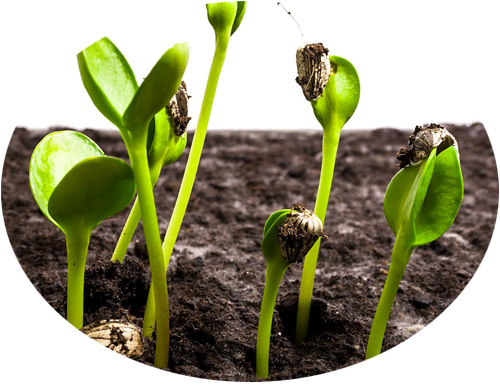 BioLumic is currently developing seed treatment applications in row crops and vegetable crops.